We almost all know people who can not help but publish the details of their private life, even love on Facebook and social networks. Seeking comfort, validation or recognition, they constantly update their statuses and post new photos of the places they have visited, the food they have eaten and even photos of them with their partner. .
Exhibiting one's intimate life on the internet, however, is not as trivial as it seems, and the type of publications and their frequency says a lot, according to research, on some aspects of the psyche of people, while revealing some psychological disorders of which they would be affected. 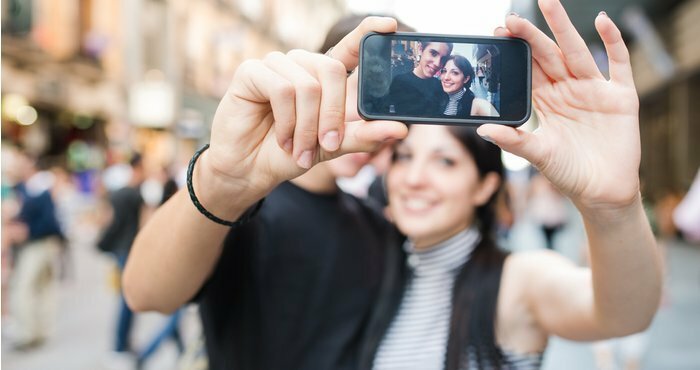 According to a study by Brunel University in London, people who regularly post Facebook status updates about their relationship would suffer from lower self-esteem than others. To show one's intimate life in the eyes of the whole world would thus betray a feeling of personal dissatisfaction, incompetence, an impression of not being up to the mark and would therefore be a sign of psychological disorders in the person. The researchers also revealed that publishing a lot of information about themselves and their daily activities such as their sports program or diet, and regularly updating them, revealed a need attention and validation on the part of people and greater narcissism compared to those who publish information only to a more reasonable extent. If the way we use social networks is revealing of our psychological state and can reflect our possible psychic disorders, they are also the cause of many of them. Here are some examples of the harmful effects that social networks can have on our mental state. If exposing one's love life on Facebook and social networks reflects a low self-esteem, it may be that this comes precisely, at least in part, from the use of these same social networks. Constantly assisting in the display of life, often embellished elsewhere, of his friends or even of complete strangers, sends us back to our own daily life that we inevitably compare. And when, in all likelihood, we believe that our life is not as exciting as what we are witnessing, we are putting our whole being and our whole existence in question. Also, for psychologist Michael Stora, "when you see pictures of your friends showing ideal images, well, it sends you back in the face the fact that you are alone, that you are not well or that you do not not beautiful! " To over-use social networks, if it is to communicate with our friends, we move away from the real world, and the more we spend time, the more this distance is reinforced and with him, our feelings of isolation and loneliness. Some studies have shown that the increase in the anxiety rate that we have experienced in recent years was mainly related to the use of social networks, and that young people who spent several hours a day showed a significant increase in their risk of becoming ill. suffer from psychological problems such as fragile mental health, psychological distress, or even falling into depression, at the risk of becoming suicidal.